Home / charts / Drake / Drake Scores No. 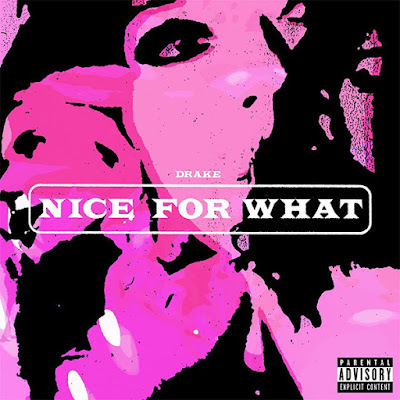 1 Single In The UK With "Nice For What"
Drake Scores No. 1 Single In The UK With "Nice For What"
Drake scores this week’s No. 1 Single in the UK with Nice For What! This is his 2nd No. 1 single on the chart this year, following God's Plan, and his 4th No. 1 single overall: following What’s My Name (with Rihanna, 2010), and One Dance (2016). Drake knocked Lil Dicky and Chris Brown's Freaky Friday to No. 2 and debuting at No. 3 we have Calvin Harris and Dua Lipa's One Kiss. Drake conquista esta semana o single #1 no Reino Unido com o seu tema Nice For What! Este é o seu segundo single #1 neste país este ano, após God's Plan, e o seu 4º single #1 no total, seguido de What's My Name (com Rihanna em 2010) e One Dance (em 2016). Drake derruba para o #2 Freaky Friday de Lil Dicky com Chris Brown e a entrar diretamente para o #3 temos One Kiss de Calvin Harris com Dua Lipa.